Do you want to be fit, but do not know where to start? Do hate the idea of doing boring exercises to get fit? If you said ‘yes’ to either of these questions, then you should consider dancing. When you first hear ‘dancing’ you may think ‘that’s no good for me. I can’t dance,’ but it really does not matter whether you think you can dance or not, the point is you would be moving around and being active. You do not even have to leave the house to dance. However, if you wanted to learn to dance, then there are plenty of classes around. Here are some reasons why you should start dancing your way to being fit. It can make you stronger mentally and physically. You are using your muscles when you are moving around the dance floor. While you are dancing, it may not feel like much is happening to your body because you are enjoying yourself, but your muscles are working. Also, your self-esteem will rise and you will have a more positive view on life. Dancing is a way of expressing your emotions, similar to writing, but more active. How many of you have danced around your house and felt bored doing it? You would not do it if it was boring to you. Time flies when you are having fun and that is why dancing is a great exercise. Why wouldn’t you find an activity that you have fun doing? You will not be motivated to do exercise if you do not want to do it. You are more likely to incorporate exercise into your routine if you enjoy it. Of course you have the option of going to a dance class to learn how to dance. But you also have other options. How about dancing in the privacy of your own home? Many beginners do not like going to dance classes because they feel uncomfortable with people watching them when they move around. You do not have to feel uncomfortable at home and it is free. There are so many DVD’s that can guide you through the first steps of dancing. 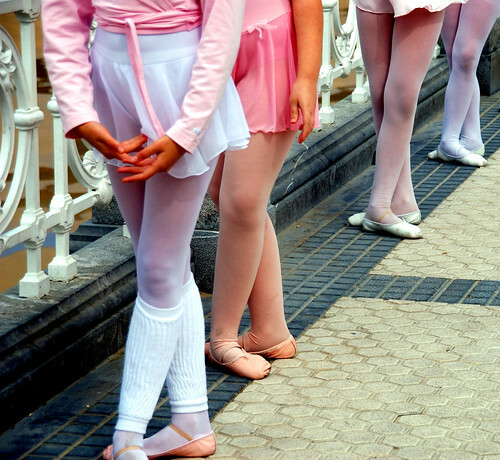 If you attend dance classes, then other people are going to be there as well. You can make new friends that share the same interest as you. Having friends will make you happier. It will also make you want to go to your dance classes because it will become a social thing as well as exercise. This is one of the greatest reasons for dancing. It is just overall fantastic for your health. It will make you fit, healthy and flexible. If you are tired of searching for an activity you are going to enjoy, then why not try dancing? Even if you just begin at home, you are still being active and making a difference to your body. There are plenty of reasons why you should begin dancing.